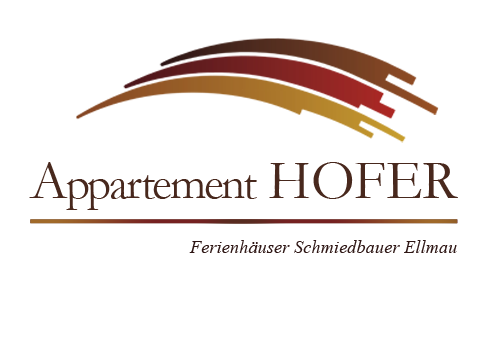 Welcome to Apartment Hofer. Centrally located with breathtaking views of the Wilder Kaiser. 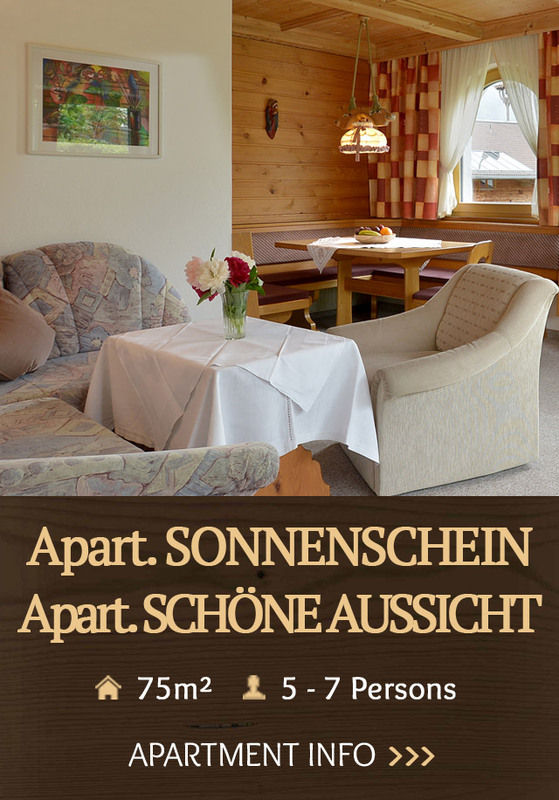 Our 4 holiday apartments offer you the perfect starting point for your holiday in the Tyrolean Alps. In the winter you don’t need a ski bus as you can ski right to the house. Apartment Hofer is located directly by the Kirchbichl ski lift. 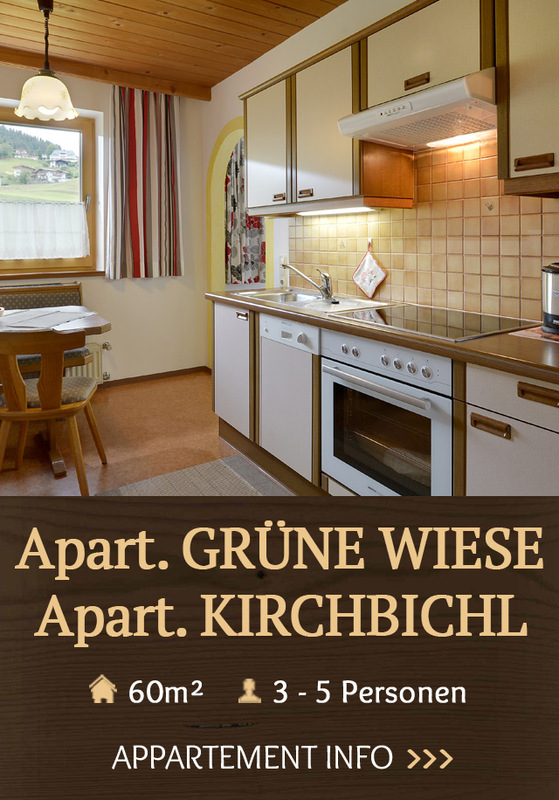 With direct access to the Skiwelt-Wilder Kaiser-Brixental ski region, with 280 km of ski piste and 90 modern Lifts. Enjoy your winter holiday in the Tirol with a variety of other activites such as winter hiking, tobogganing, cross-country skiing, and much more. 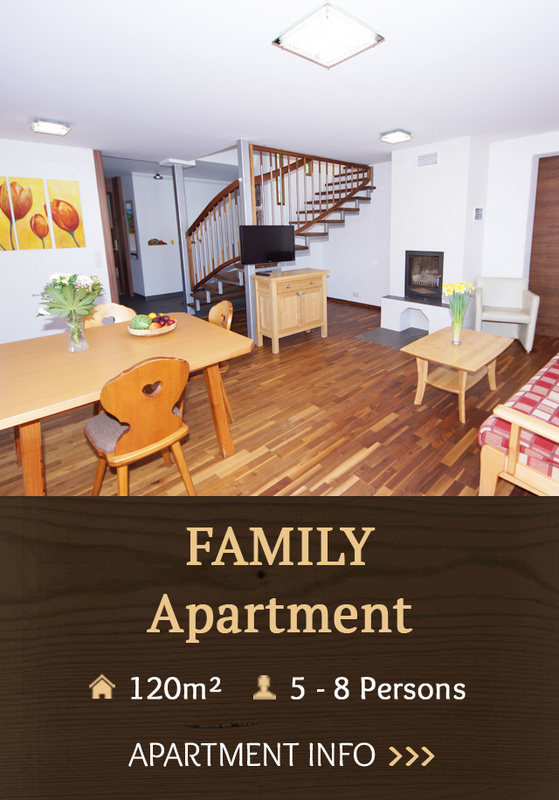 All our apartments and have free separate W-LAN and a terrace or balcony with panoramic views the “Wilder Kaiser” mountains.